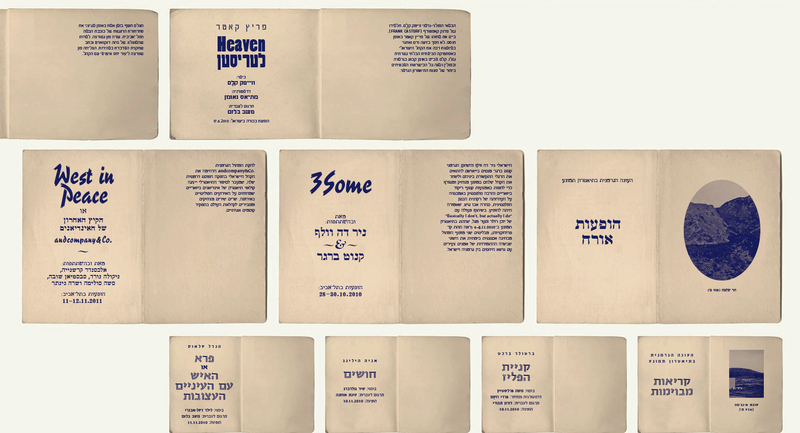 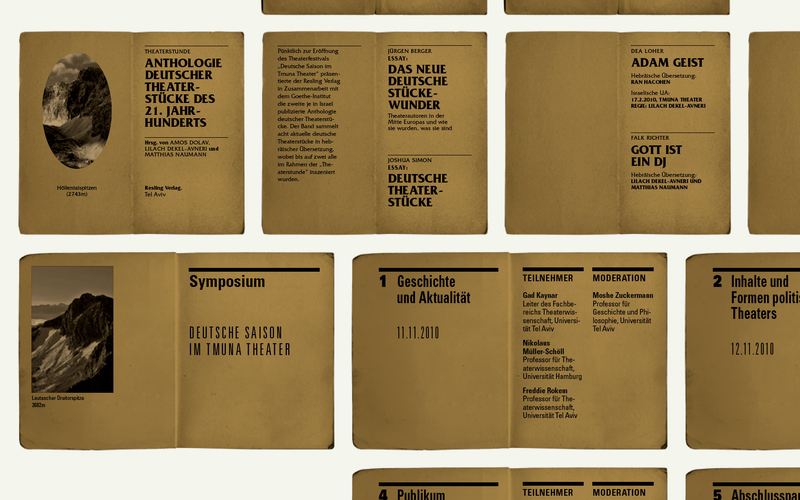 A set of two double-sided posters concluding the “TheaterStunde” project accumulated by the Goethe Institute – a year of promoting Israeli-German cultural collaboration through a series of theater-related events and productions. 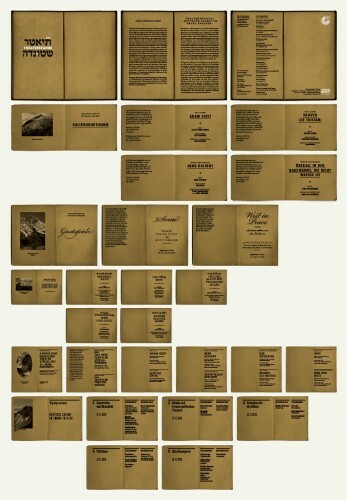 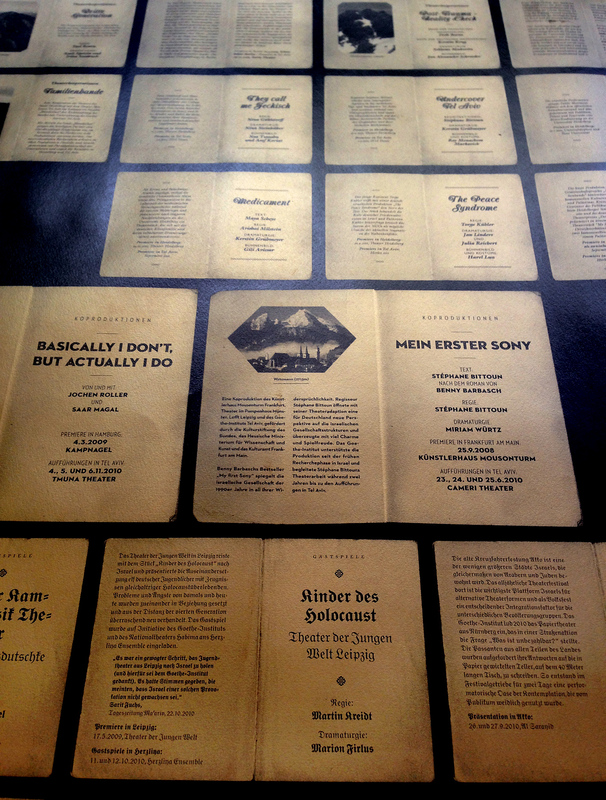 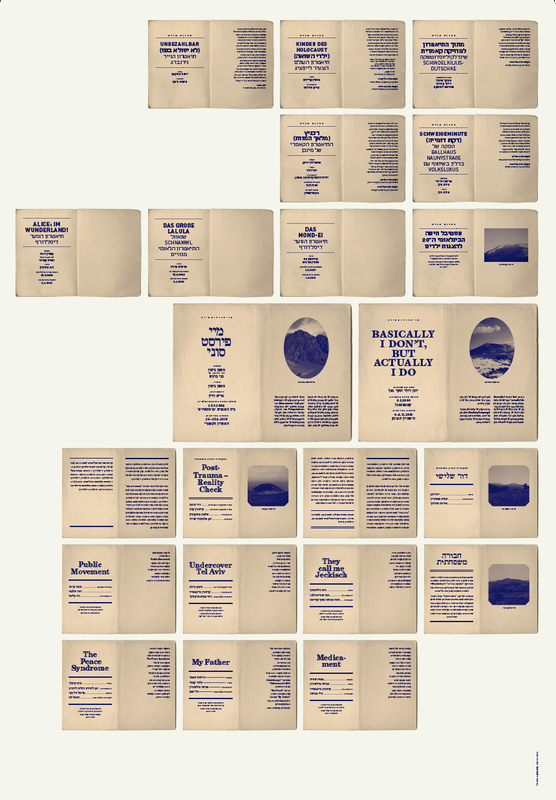 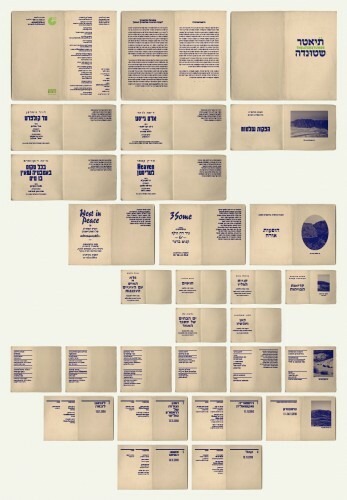 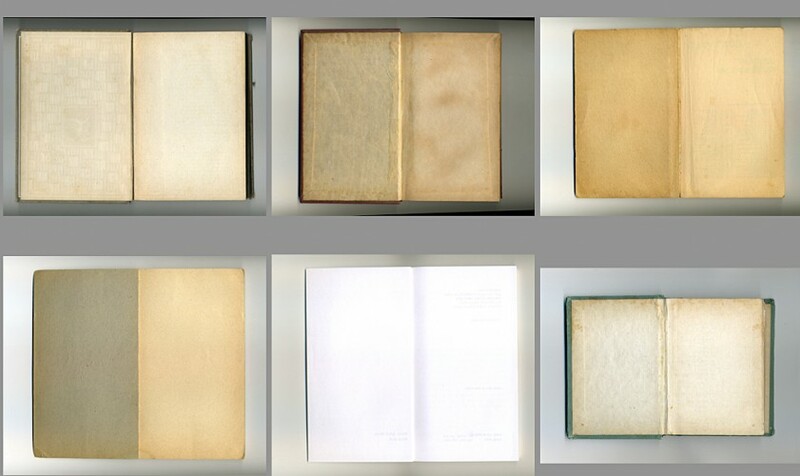 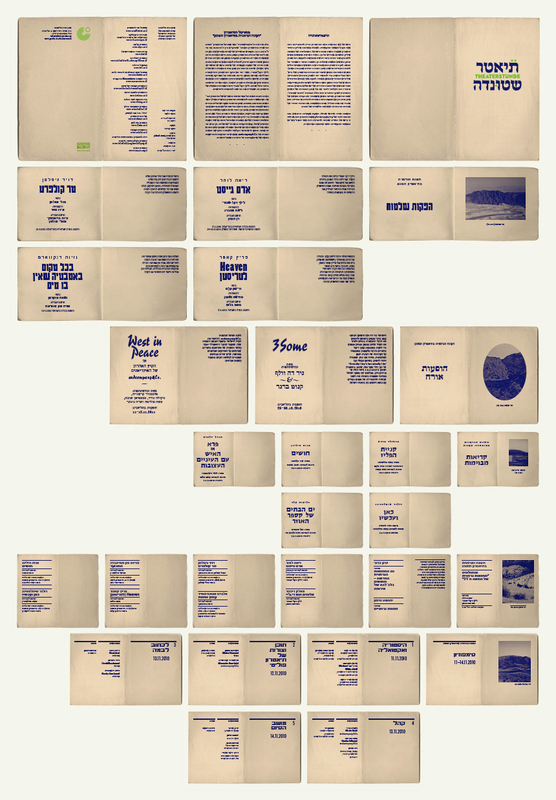 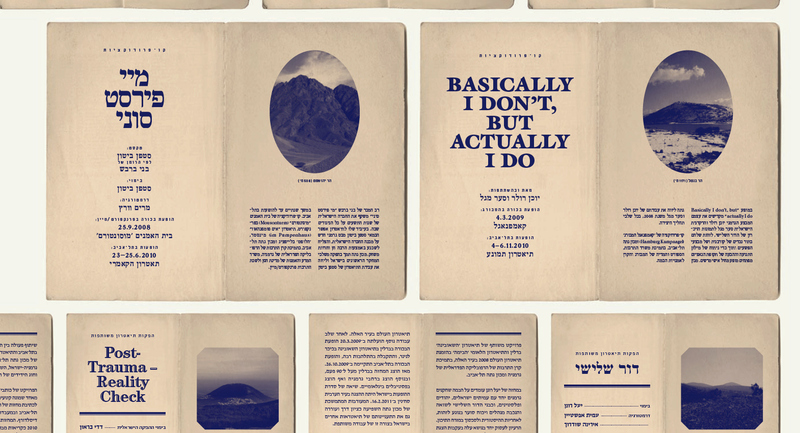 The posters where conceived around the idea of the book title page. 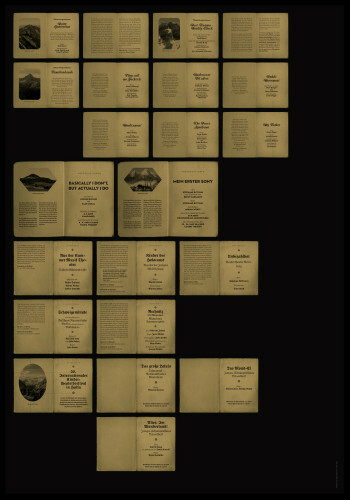 Each event/production/play originated from it’s own title-page/ full book. 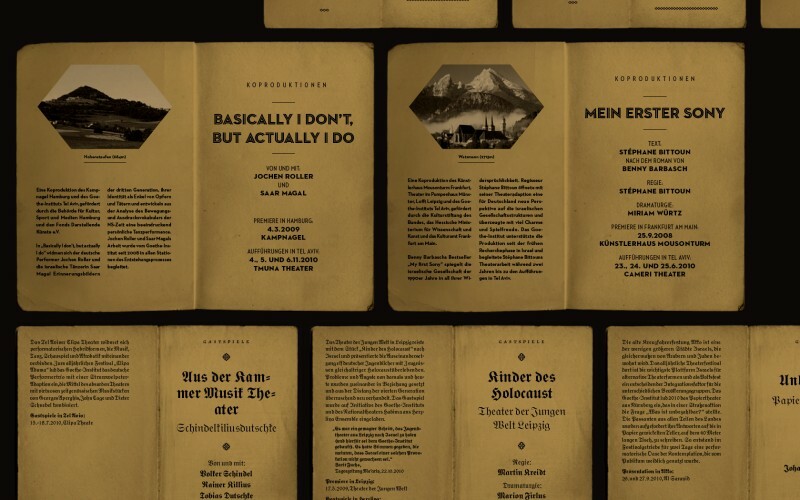 To indicate some of these plays high spiritual achievements, they where matched with the highest mountain tops in Germany and in Israel respectively. 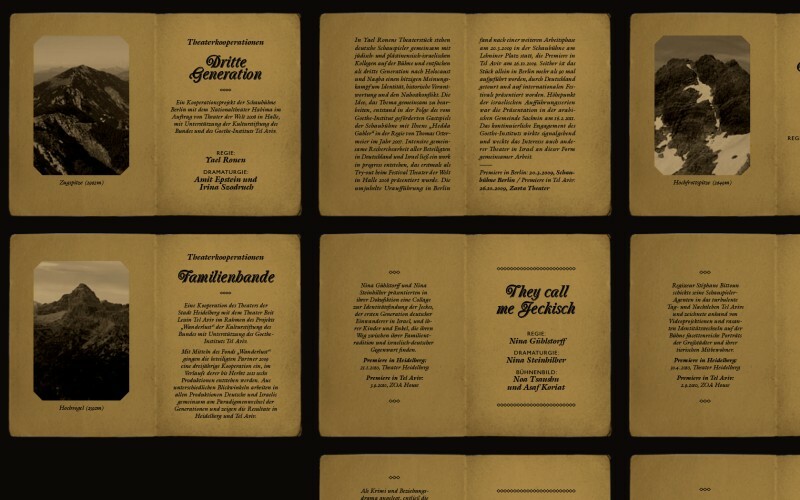 The posters where printed in gold and black.